All men and women want to be well-groomed and appealing. Unfortunately, not all individuals are awarded impeccable color and texture of the skin. As a smooth and healthy skin is the first step to beauty and grooming, several individuals use facial masks to look smart and appealing to others. As a matter of fact, Facial Masks are an excellent tool when you need to rejuvenate, moisten, soothe and cleanse the skin and remove toxins. It has been seen that most of the individuals make mistakes while using facing masks. So, they don’t get the desired results. Therefore, we will discuss a few tips that can make facial masks work for your skin easily. Let’s get started. Cleansing Masks This mask helps in the exfoliation of the dead horny layer from the skin surface. It removes dirt, fat, dead cells from the skin, and cleanse the pores. After treatment, the skin becomes softer, more elastic, younger and acquires radiance, smoothness and natural health. It is suitable for all types of skins. Nourishing Masks Helps in moisturizing and nourishing the skin with useful substances. It can be used for all types of skins. But, it is very useful for dry and sensitive skin. You can use it after cleansing the mask to enhance its effect up to a great extent. Anti-inflammatory Masks It is used to deal with oily and problematic skin. It deeply cleanses the skin, narrows the pores, resists inflammation, eliminates the fat content of the skin.You can use it more than once a week to root out acne completely. 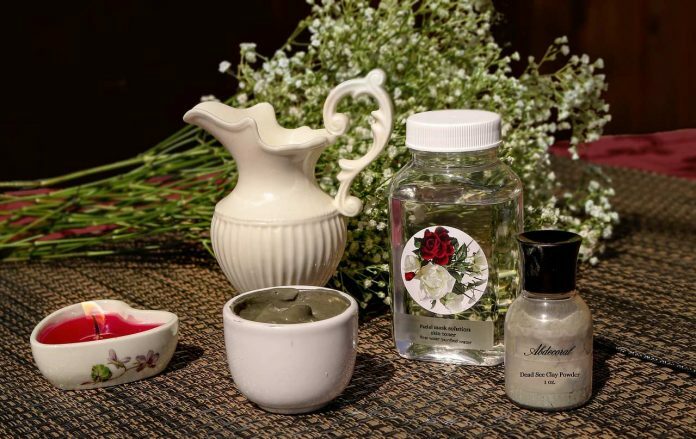 Moisturizing Masks Useful for all types of skins. But, immensely advantageous for dry, sensitive, aging, flaky skin. Active ingredients allow you to restore moisture to the skin and maintain its presence for a long period of time. Its careful use leads to softening and increasing the elasticity of the skin. It contains vitamins and nutrients that improve cell function. You can also combat the age-related changes in your skin with this mask. Anti-aging anti-aging Masks It is used to combat age-related changes easily. It allows you to get rid of pigmentation spots, whiten the skin, eliminate wrinkles and actively combat any age changes. It is very important to clean your skin before applying the mask to it. If your skin has even the slightest traces of decorative cosmetics ( such as powder, foundation or blush), the mask will not go in the deeper layers of the skin. You can use milk, lotions, tonics, foams and gels, ordinary soap to cleanse the skin perfectly. If you have dry skin, just wash it with water at room temperature. You can also use a variety of exfoliating scrubs and make them peeling your face. In case if you have sufficient time, put a hot towel over your face as it will make your skin slightly moist, allowing the mask to penetrate the skin very well. After cleansing the skin, apply the prepared mask to your face and some of its areas. You can apply the mask by hand or with the help of special brushes and spatulas, which is sold on cosmetic stores. Just remove the hair from your face and stand in front of the mirror. Start applying the mask from the chin or from the neck to the earlobes. Do not apply a mask to the lips and skin around the eyes. Once you completely apply the mask on your face, lie down, close your eyes, and the take rest. Do not walk, talk and do anything at all. The mask is right for you if you don’t have redness and burning, or an allergic reaction after applying the mask to your skin. If you are not sure about it, consult a cosmetologist and seek his/her suggestion. After some hours, wash off the mask on your face with water. Don’t use various means of washing the skin. If you have oily skin, wash with cool water. If dry, wash with water at room temperature. While washing the mask off, you should rinse it gently. Use a soft sponge to perform this action if you want. In the end, lubricate your face with a moisturizer to make your skin soft, lovely, and attractive. By following the above-mentioned tips, you can have the shiny and eye-pleasing face similar to Marlon Teixeira or Sara Sampaio. Although full restoration of the fair skin will a significant amount of time. You can experiment with masks in consultation with a makeup artist to get the desired results easily and quickly. Consult a doctor immediately if you face health hazards after applying the mask to your skin. Sasha Parker, works as Makeup Tutor and Blogger at “The School Of Make-up” which offers Professional Makeup Class in Singapore. She has been blogging for several years about the makeup trends and tips. She is a voracious follower of fashion week and loves to share all about it.